PlanetGogo Pvt Ltd, which runs a content discovery and reward points platform, has raised an undisclosed amount of seed funding from leading media company HT Media and US-based investment firm North Base Media (NBM). The investment was made through HT Media's subsidiary HT Digital Media Holdings Ltd. 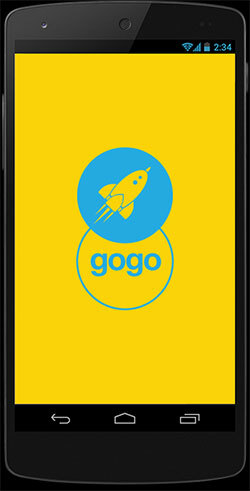 The Gogo screen lock app gives users reward points for reading content or even unlocking their phone. These points than can be redeemed by the users from their mobile operator for free talk time. The new capital will be used for increasing growth of user base, and supporting multiple languages on the platform. PlanetGogo was founded in September 2015 by Daman Soni and Rajat Gupta, former senior management executives at Japan-based web chat app LINE. North Base Media is founded by Marcus Brauchli, who was earlier the executive editor of Washington Post. The investment firm focuses on media and media technology in the world's growth markets. In May this year, HT Media, which owns dailies such as Hindustan Times and Mint besides other media properties, in association with North Base Media launched an accelerator for digital media and advertising technology companies under Mediahack.in. Unlockar Apps Pvt Ltd, founded in 2013, also lets users earn reward points for unlocking their phone screens. The startup was selected in the second batch of BW Accelerate. Another similar startup would be Zapr, which rewards users for viewing ads on TV, which recently raised its second round of investment from Indiamart founder Dinesh Agarwal. HT Media Ltd Planet GoGo Pvt. Ltd.